Last year saw the loss of entertainment icons Shammi Kapoor and Jagjit Singh among others. They’ll be missed. As we celebrate the New Year, it seems fitting to pay our respects to the many lost stars India mourned over the past year. Renowned painter M.F. Husain, who defied all pretensions of custom and tradition and who took on religious fundamentalists, couldn’t defy the dictates of fate. Often known as the “Indian Picasso,” Husain had taken refuge in London after he was chased out of the country by Hindu fundamentalists. Bollywood mourned the loss of Shammi Kapoor, India’s answer to Elvis Presley, this past August. The veteran actor’s hairdo and acting style almost singlehandedly created a new genre in the Indian film industry. His flamboyance was his defining trait. He was rightly considered one of the most entertaining actors of the Hindi film industry. Noted singer Jagjit Singh, whose mellifluous voice was balm for many broken hearts, left many hearts broken with his passing in October. During his four-decade career he preformed in many languages besides Hindi. 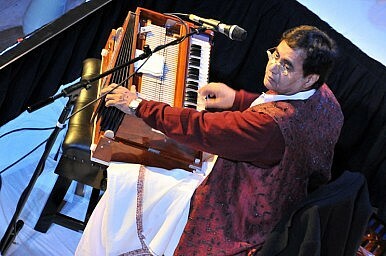 He redefined ghazal, a short lyric poem written in couplets using a single rhyme, by introducing modern techniques. He was the first singer to popularize this classical lyrical form in Bollywood movies, bringing this elite form closer to the common man. His departure was a great loss not only to the film industry, but also to the nation. With the death of Mamoni Baideu, meanwhile, the region of Assam lost a powerful representative. Her literary works weren’t so much an expression of her personal sorrows as a medium to express the anguish of the people of Assam, who were at the receiving end of the Indian government’s apathy and indifference. She always advocated a peaceful solution to the secessionist moves of the region, and tried to act as a mediator between the government and armed insurgent groups. This is, sadly, only a short list of those we have lost in the past year. We can only hope the New Year will bring more talent to the nation and take the country to new horizons as those we lost in 2011 so often did. Sanjay Kumar also blogs at Indian Decade.